In a large bowl, combine your choice of leftovers, spinach, cheese, Kelchner's Creamy Horseradish Sauce, and the pizza sauce. On a lightly floured surface, roll one package of pizza dough to a 12-inch square. Cut into four 6-inch squares. Place about 2/3 cup of the leftovers mixture onto half of each square about 1/2 inch from edge. Moisten edges of dough with water and fold over, forming a triangle or rectangle. Pinch or press with a fork to seal edges. Using the tip of a knife, cut small slits into tops of triangles or rectangles; place on an ungreased baking sheet. Repeat with remaining dough and leftovers mixture. 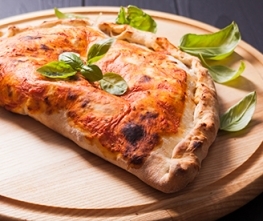 Brush tops of calzones with milk and, if desired, sprinkle with Parmesan cheese. Bake about 18 minutes or until calzones are golden and heated through. In a small saucepan, heat the remaining pizza sauce and serve with calzones. 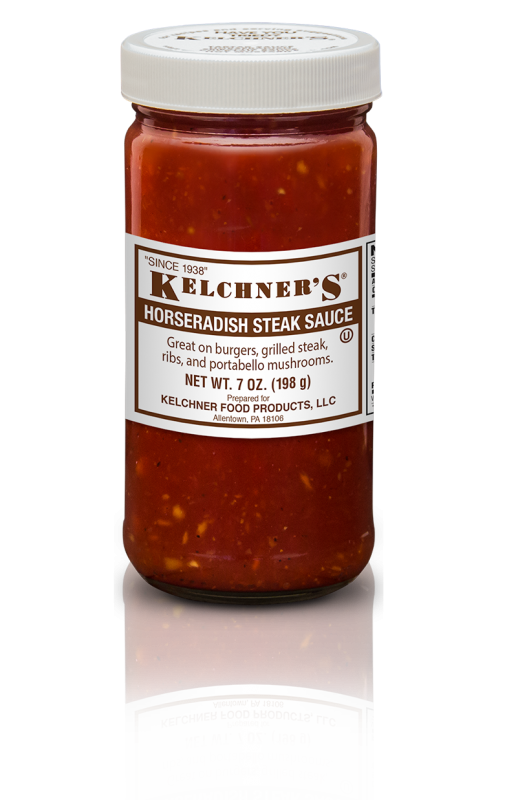 Serve Kelchner's Creamy Horseradish as a dipping sauce.